In Module 3 of Financial Reporting, IAS 37 prohibited the RECOGNITION of contingent assets and contingent liabilities because either (or both) the definitions of the element and/or recognition criteria were not satisfied. 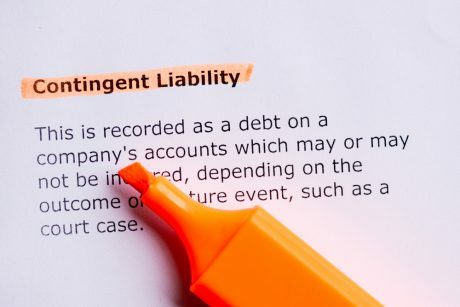 As such, contingent assets and contingent liabilities were required to be DISCLOSED in the notes to the financial statements unless the probability relating to their occurrence was assessed as ‘remote’. In this case, no action was to be taken and the contingent asset and contingent liability would neither be recognised nor disclosed. In terms of a business combination, the rules of IFRS 3 apply and these overrule some of the requirements of IAS 37. That is, it overrules the requirements that contingent liabilities cannot be recognised and requires that when there is a business combination, contingent liabilities (and the associated DTA) MUST be recognised. However, it does not override the IAS 37 rules relating to contingent assets. Thus, if there is no business combination, then IAS 37 applies in full and no contingent assets nor contingent liabilities would be recognised. But when there is a business combination, IFRS 3 applies and requires that only contingent liabilities be recognised (and the associated DTA). Contingent assets would never be recognised in terms of IAS 37 and IFRS 3. If you found this blog helpful, please comment below (you’ll need to log in). 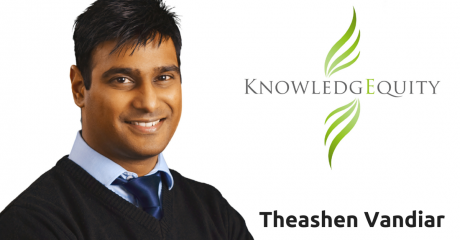 KnowledgEquity Financial Reporting students have been using the KnowledgEquity support resources, including video tutorials, weekly webinars, module quizzes plus the CPA study guide to prepare for their all important exam. To learn more and get access to support resources for your CPA, check out KnowledgEquity’s Financial Reporting Support for your CPA courses. You can try our CPA Assist for Financial Reporting which includes 10 hours of free content, there are short explanatory videos, module quizzes, webinars and flowcharts to help you embed your knowledge and be able to understand the subject. Plus in our paid courses, you can access all the resources, including practice exams (marked) and an exam preparation webinar – learn more here, Financial Reporting courses. Once you have concepts like these embedded in your knowledge data bank, you will be ready to take on your CPA exam! 0 responses on "IAS 37 & IFRS 3 Conflicting treatment for contingent liabilities"